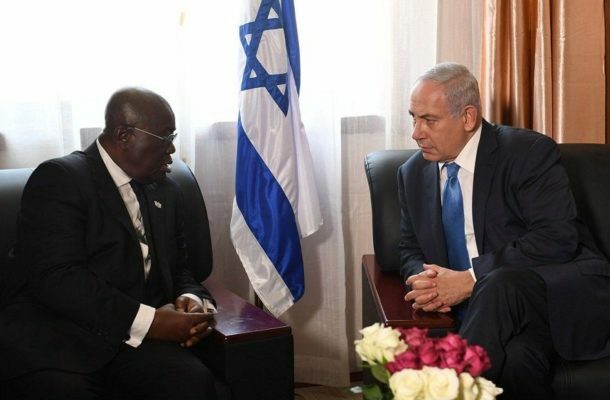 The Prime Minister of Israel, Benjamin Netanyahu did not mince words with the country's desire to return as an AU observer when Ghana’s Minister for Foreign Affairs and Regional Integration, Shirley Ayorkor Botchwey, visited Jerusalem on official invitation from the Prime Minister . Netanyahu had made the same plea publicly in 2017 at the ECOWAS Heads of State Summit in Liberia where he appealed to absolve Israel back as an AU observer and for the African leaders to support his country against sanctions in the United Nations General Assembly (UNGA). “I ask for your support in rejecting anti-Israel bias at the United Nations, and in bodies such as the General Assembly, UNESCO and the Human Rights Council. “Israel is a nation that loves and respects all … In Israel, Jews, Christians and Muslims live side by side as equal citizens. This is the real Israel”, he said.